It’s not what you say, but how you say it. Solving problems with words is the essence of politics, and finding the right words for the moment can make or break a politician’s career. Yet very little has been said in political science about the elusive element of tone. 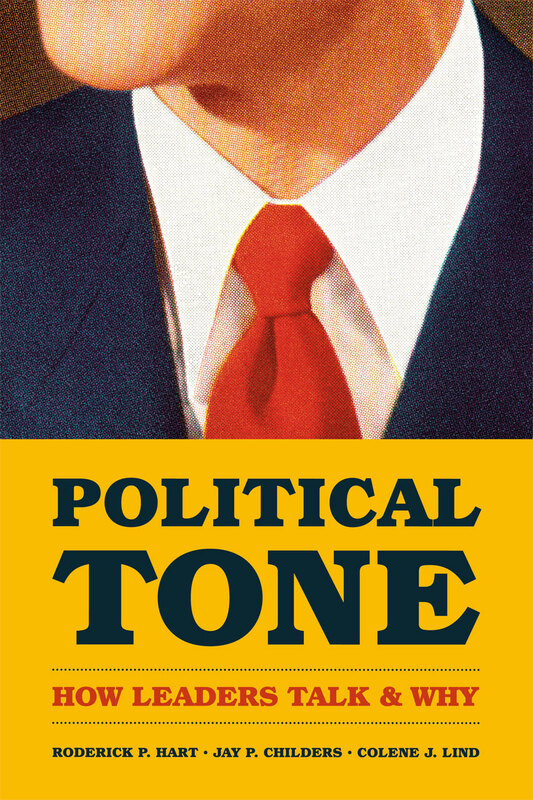 In Political Tone, Roderick P. Hart, Jay P. Childers, and Colene J. Lind analyze a range of texts—from speeches and debates to advertising and print and broadcast campaign coverage— using a sophisticated computer program, DICTION, that parses their content for semantic features like realism, commonality, and certainty, as well as references to religion, party, or patriotic terms. Beginning with a look at how societal forces like diversity and modernity manifest themselves as political tones in the contexts of particular leaders and events, the authors proceed to consider how individual leaders have used tone to convey their messages: How did Bill Clinton’s clever dexterity help him recover from the Monica Lewinsky scandal? How did Barack Obama draw on his experience as a talented community activist to overcome his inexperience as a national leader? And how does Sarah Palin’s wandering tone indicate that she trusts her listeners and is open to their ideas? By focusing not on the substance of political arguments but on how they were phrased, Political Tone provides powerful and unexpected insights into American politics. "For a concept as ubiquitous as tone, there is surprisingly little research as it relates to politics. Political Tone fills that void, examining how politicians craft their rhetoric under a variety of different circumstances, why they pick the tone they do, and postulating about the effects of tone on public perceptions. . . . Political Tone makes an impact and will definitely be interesting to an academic audience. At the same time, it is generally accessible to undergraduates, journalists, and anyone who is interested in presidential rhetoric."